In 2001, John Kluge gave his 7,379 acre Morven Farm to the University of Virginia. As a resource for the University’s collaborative research and teaching, Morven’s archival records, social and cultural history, landscape and gardens bring together a wealth of scholarship with innovative research and recent advances in technology. 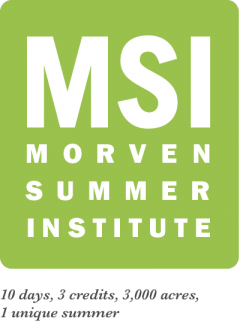 As a place-based representative of the large history of human and natural systems of the region, Morven today serves the University as a destination for critical thinking and experimentation. UVA currently retains 2,913 acres, which includes forty-three buildings and a core property to be held in perpetuity. From the breathtaking Formal Gardens, a real Japanese Garden, immense horse barns, historic homes, the meeting barn complete with a plush movie theater, and a one-acre kitchen garden – Morven is a one-of-a-kind place tucked away just down the road from Monticello.